Open plan with easy care laminate flooring on the first floor. Dining area off the kitchen with a coat closet, pantry and half bath, plus a small patio out back. The 2 car garage is accessed from the hallway to the kitchen, with stairs to the unfinished basement. Upstairs there are 3 good sized bedrooms, the master easily accommodates a king sized bed and has a full attached bath with double bowl vanity and walk in closet. The baths upstairs are tiled. 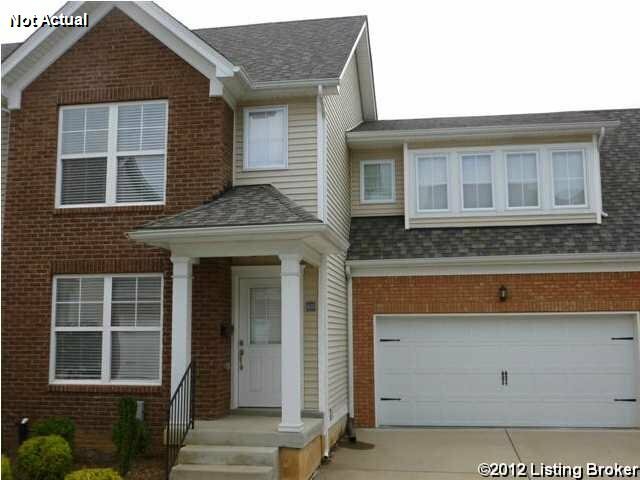 Great value with a full basement plus an attached 2 car garage! , Louisville KY 40206 is a Condo, with 3 bedrooms which is recently sold, it has 1,440 sqft, 0 sized lot, and 2 Car Garage parking. A comparable Home, has 1 bedrooms and 0 baths, it was built in and is located at 613 Country Club Rd Louisville KY 40206 and for sale by its owner at $ 129,900. This home is located in the city of Louisville , in zip code 40206, this Jefferson County Home, it is in the NONE Subdivision, and CLIFTON are nearby neighborhoods.